This Online Privacy Statement (“Policy”) was last updated on February 13, 2019. Para la versión en Español de nuestra Declaración de Privacidad, haga clic aquí. 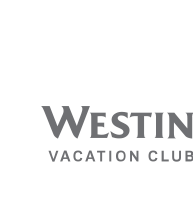 Vistana Signature Experiences, Inc. is an indirect subsidiary of Marriott Vacations Worldwide Corporation, a global vacation company that offers vacation ownership, exchange, rental, and resort and property management, along with related businesses, products and services. 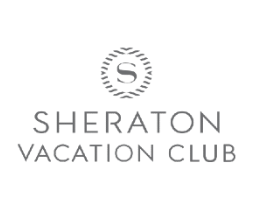 Marriott Bonvoy, Heavenly, Heavenly Spa, WestinWORKOUT, Sheraton, St. Regis, The Luxury Collection, Westin and their respective logos are the trademarks of Marriott International, Inc. (“Marriott”). Vistana Signature Experiences and the programs and products provided under the Vistana brand are not owned, developed, or sold by Marriott. Vistana Signature Experiences, its subsidiaries and managed owners’ associations (together “Vistana,” “we,” “our,” or “us”) respect your privacy and are committed to protecting it through compliance with this Policy. This Policy describes the type of information Vistana may collect from you or that you may provide when you visit any website or property owned or operated by Vistana. Vistana collects information about you so that we can provide an experience that is tailored to your preferences. Vistana’s mission is to consistently exceed expectations with respect to the products and services we provide to our business and leisure travelers. This Policy may not apply to information collected by Vistana off-line or through other means, including on any other website operated by Vistana or any third party (including our parent, affiliates and subsidiaries) that do not link to this Policy; or any third party through any application or content (including advertising and credit card processing service providers) that may link to or be accessible from or on Vistana websites. Vistana is committed to providing information about the collection and use of personal information furnished by or from you while using our websites, products, and services. If you create a personal, online profile through a Vistana website, you will be offered the choice to decline (opt-out) participation in certain services and promotional benefits provided by Vistana and/or our carefully selected third parties, including Marriott through the Marriott Bonvoy program (“Strategic Marketing Partners”). Please read this Policy carefully to understand Vistana’s policies and practices regarding your information and how it will be used. By accessing or using Vistana websites, you agree to this Policy. If you do not agree with the policies and practices of Vistana, your choice is to not use our websites. This Policy may change from time to time. Your continued use of the websites after we make changes is deemed acceptance of those changes, so please check the Policy periodically for updates. The following is an explanation of the information collected by Vistana, its use, and why the use of this information will benefit our visitors’ experience. Vistana may ask for and collect personal information in order to provide a customized experience on our websites. The personal information we collect may include information that you provide by filling in forms on our websites, such as name, postal address, email address, and telephone number. With these fill-in forms, you have the ability to choose the information you wish to share with us. You will be informed about how Vistana may use such information, including whether it will be shared with Strategic Marketing Partners. In most cases, the information you provide is added to our database in order for us to provide personally tailored messages which are delivered online and off-line. Vistana may also collect information using automatic data collection technologies to collect certain information about your equipment and browsing activities and patterns. Our automatic data collection activities are further described in the Cookies and Invisible Pixels section of this Policy. You may choose to create a personal, online account with a unique log-in. It is necessary for Vistana to collect certain personal information from you to establish these accounts and allow you to perform various activities within the website. For owners of Vistana products, you will have to provide additional information to enable you to access your specific ownership information. If you do not wish to share your information, please do not register and set up an online account. The websites may collect personal information through behavioral tracking. As you navigate through and interact with our websites, Vistana, its vendors, and marketing partners may use automatic data collection technologies to collect certain information about your equipment, browsing actions and patterns by using cookies, invisible pixels, and web beacons. These help us deliver a better and more personalized service, including by enabling us to estimate our audience size and usage patterns; store information about your preferences, allowing us to customize our websites according to your individual interests; and speed up your searches. Web Beacons and Invisible Pixels. Vistana uses invisible pixels and web beacons to count how many people visit certain web pages. Information collected from invisible pixels and web beacons is used and reported in the aggregate. Vistana may use this information to improve marketing programs and content. Vistana cookies assign your computer or other device with a unique identifier, which in turn becomes your identification card whenever you return to a Vistana website. Cookies are small data files that most websites store, access, and maintain on the hard drive of your computer. Most browsers now automatically accept cookies by default, but they can be set so that all or some cookies are rejected automatically or are accepted or rejected on a case-by-case basis at the user’s option. Below we explain the different types of cookies that may be used on our websites. For a full list of the cookies we employ, please see the Cookie Choices section of this Policy. Essential Cookies. Essential cookies are necessary for our websites to work, and to enable you to navigate them and use their services and features. As disabling these cookies would make the services and features unavailable, we are not required to provide you with an opt-out consent mechanism. Customization Cookies. Customization or preference cookies store your choices and preferences allowing us to remember language or other local settings and to customize our websites accordingly. Analytics Cookies. Analytics cookies collect information about your use of Vistana websites and enable us to identify problems, determine the efficacy of our advertising, and understand how aggregate traffic moves on and to our websites. Advertising Cookies. Advertising cookies allow us to show you the most relevant products, offers, advertisements, and personalized content and help us provide you with an online experience that’s tailored to your needs. You can disable cookies by setting your preferences at any time in the Advertising Preferences link at the bottom of our website. To see a complete list of the companies that use these cookies and technologies and to tell us whether or not they can be used on your device please click here. However, you should also understand that rejecting cookies might affect your ability to perform certain transactions on our websites and our ability to recognize your browser from one visit to the next. You may also adjust your internet browser to treat cookies in different ways. Depending upon the type of browser you are using, you may be able to configure your browser so that: (i) you are prompted to accept or reject cookies on an individual basis or (ii) you may be able to prevent your browser from accepting any cookies at all. You should refer to the supplier or manufacturer of your web browser for specific details about cookie security. To learn more about cookies, please visit the following site, which is not affiliated with Vistana: allaboutcookies.org/. If you connect with a social media service, or log in through a social media service, we may collect information that is publicly available through that service and the basic account information that is automatically passed to us by the service. For example, on Facebook this could include your name, profile pictures and URL, cover photos, username, user ID, your friends’ user IDs, network, gender, birthday, language, and current city. We may also collect content that you provide to be published on those social media services, such as your likes and your social media activities, like check-ins or tweets. We also collect such other information as you and the social media service provide to us, including information regarding or provided by your friends. This includes, for example, check-ins, events, travel wishes, interests, posts, locations, and photos (including photos you or your friends have been tagged in). If you have turned on your device’s location services, your location may be included in that content. The information collected from or about you by social media networks with which you connect are governed by the policies of those social media networks. Be aware that sharing content on a social media service may lead to it being shared to your friends (or contacts on those networks). Please consult the privacy settings on these services to update any of your sharing settings. From time to time, Vistana may ask you for your email address in order to provide relevant information such as reservation confirmations and offers. Email addresses may be joined with other information provided at our website and may also be augmented with other data sources. By providing your email address to us, you may receive periodic offers and information from Vistana or one of its Strategic Marketing Partners. If you do not want to receive marketing information from Vistana and/or one of our Strategic Marketing Partners in the future, you may opt-out of receiving email communication by following the directions posted in the email or by contacting us in any of the ways outlined in the Contact Us section of this Policy. Once a visitor has opted-out, they can choose to opt-in again by changing the preferences selected in their personal, online profile or by contacting us in any of the ways outlined in the Contact Us section of this Policy. If you ask us to make these changes for you, we may not be able to change your personal information without deleting your account. As part of the service that Vistana provides, Vistana may mail, text message, or call you to inform you of enhancements, changes in offerings, special events, or other relevant information responsive to your interests. If you provide Vistana with your postal address, cellular or telephone number, you may receive periodic mailings or phone calls from us with information on new Vistana products and services or upcoming Vistana special offers/events. You may also receive mailings/calls from one or more of our Strategic Marketing Partners. Vistana complies with Federal and State “Do Not Call” legislation and offers you the option to decline these communications. You can opt-out of receiving certain communications from Vistana when setting up an online account or by submitting your request or by contacting us in any of the ways outlined in the Contact Us section of this Policy. In order to anticipate your needs, Vistana provides links to other websites for your convenience and information. Vistana is not responsible or liable for any content presented by or contained on any third-party website, including, but not limited to, any advertising claims or marketing practices. Please note that while Vistana will protect your information on Vistana-owned and -operated websites, Vistana cannot control and will not be responsible for the privacy policies of third-party websites, including websites owned or controlled by independent owners’ associations, vendors, service providers, travel providers that may have a business relationship with Vistana, or other websites not controlled or authorized by Vistana. Third-party websites that are accessed through links on Vistana’s websites have separate privacy and data collection practices and security measures. We have no responsibility or liability for the practices, policies and security measures implemented by third parties on their websites. We encourage you to contact them to ask questions about their privacy practices, policies and security measures before disclosing any personal information. We recommend that you review the privacy statements and policies of linked websites to understand how those websites collect, use and store information. We respect your privacy and maintain your personal information on a secure server. If you create a personal online profile for which you have a unique log-in, you can review and change your personal information and online communication preferences by logging into that website and visiting your account profile. If you request us to make changes to your personal account, we may not be able to change your personal information without deleting your account. Occasionally, information you request to be changed or removed will be retained in certain files in order to properly resolve disputes or to troubleshoot problems. In addition, information is never completely removed from our databases due to technical and legal constraints, including stored “back-up” systems. Therefore, you should not expect that all of your personal information will be completely removed from our databases in response to such requests. Data collected by Vistana is an asset. It is possible that Vistana, its parent, subsidiaries, affiliates, joint venture companies, or any combination of the foregoing, could merge with or be acquired by another legal entity. In such event, you should expect that Vistana may share some or all of the data collected from its visitors with such other entity provided, that such other entity will be notified of the practices which apply to personal information under this Policy. Our websites are not intended for children under 13 years of age. No one under age 13 may provide any personal information on our websites. We do not knowingly collect personal information from children under 13. If you are under 13, do not use or provide any information on this or any other website owned or operated by Vistana, do not use any of the interactive or public comment features, do not provide any information about yourself to us, including your name, address, telephone number, email address or any screen name or user name you may use. If we learn we have collected or received personal information from a child under 13 without verification of parental consent, we will delete that information. If you believe we might have any information from or about a child under 13, please contact us. Vistana does not currently store data collected through this website in any location outside of the United States. However, if at any time Vistana does store personal information of our customers outside of the United States, the nature of our business and our operations may require us to transfer that personal data to our parent, subsidiaries, affiliates, and Strategic Marketing Partners located in countries outside of your own, including into the United States. By providing your personal information on this or any of our parent, subsidiary, or affiliate websites, you are acknowledging that such transfer may occur and expressly grant permission to do so. Although the data protection requirements and other laws of these various countries may not be as comprehensive as those in your own country, Vistana will take appropriate steps to ensure that your personal data is protected and handled as described in this Policy. Vistana recognizes the importance of information security and is constantly reviewing and enhancing our technical, physical, and logical security rules and procedures. Vistana-owned and -operated websites and servers utilize security measures to help protect your personal information against accidental loss, misuse, unlawful or unauthorized access, disclosure, and alteration while under our control. Online payment transactions will be tokenized. We also strive to ensure our Strategic Marketing Partners and service providers with which we share your personal information exercise reasonable efforts to maintain its confidentiality and security. Although “guaranteed security” does not exist either on or off the internet, we safeguard your information using appropriate administrative, procedural, and technical safeguards, including password controls, firewalls, the use of encryption and tokenization. California Civil Code Section 1798.83 provides certain privacy rights to individual customers who are California residents. If you are a California resident and have provided personal information to Vistana, you may request information about our disclosures of certain categories of personal information to third parties, if such disclosures were for the direct marketing purposes of the recipient of that information. Because your privacy is important to us, Vistana does not share your personal information with unaffiliated third parties for the third parties’ direct marketing purposes, except as stated herein. Vistana does share customer information with and among its parent, affiliate, and subsidiary companies for the purpose of marketing the various Vistana resorts, vacation and travel products and services, and shares certain information about the owners of vacation ownership interests with Marriott, as operator of the Marriott Bonvoy™ program and as owner of the Sheraton, Westin, St. Regis and The Luxury Collection brands, and with the external vacation exchange companies (Interval International and/or Resort Condominiums International) that are affiliated with the Vistana resorts. If you want to opt out of sharing this information, please submit your request by writing to the addresses listed in the Contact Us section below. The Mexican Federal Law for the Protection of Personal Data Held by Private Parties and its Regulations (“Mexican Privacy Regulations”) provide certain privacy rights to individual customers who are Mexican residents. If you are a Mexican resident, Vistana has appointed Jeff Driscoll with Turistica Cancun, S. de R.L. de C.V. as the person in charge of your personal data. Vistana does not ask for nor collect personal data considered sensitive by Mexican Privacy Regulations. You have the right to request access to, rectify, cancel and oppose the management of your personal data (your “ARCO Rights”). Furthermore, you have the right to request the revocation of your given consent, as well as limit the use of your personal data. Any other factor that facilitates the tracking of personal information. Vistana keeps a record of all the submitted requests. Furthermore, in case the request form should be found incomplete, we have the right to reject your request. You guarantee that the given information is exact, complete and authentic. Vistana is not responsible for any damage and/or harm caused by falsified information or identity impersonation. Your request shall be processed in accordance with the manner and time established in the Mexican Privacy Regulations. If applicable, Vistana will provide a response no later than 20 (twenty) business days after we have received your request. The waiting period could be extended by another 20 (twenty) business days if and when it’s justified and provided we notify you of said extension. If you request access to your personal data, it shall be given digitally. Only upon express request and provided you cover any reasonable expenses, will Vistana furnish hard copies and send them to your home address. This Policy may be revised from time to time. Updated versions will be posted to our websites and date stamped so that you are always aware of when the Policy was last updated. Vistana provides all visitors with the option to contact us with any further questions or concerns. Please click here to send an email with your request.